Today we are taking a bit of a detour away from Pinterest marketing to talk about creating business core values to serve as a compass for your team. 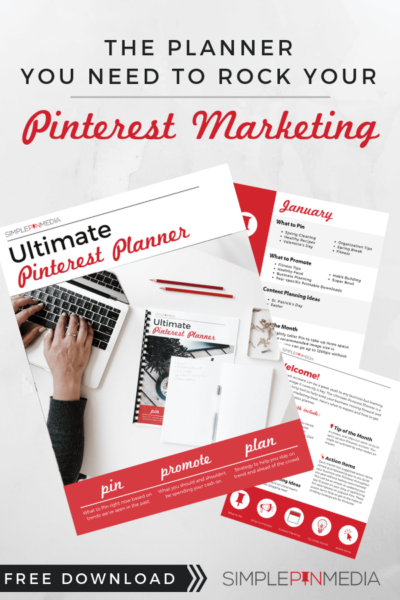 We don’t steer away from the topic of Pinterest very often, simply because I want to stay focused on what I promised to share with you – Pinterest marketing! But I often get questions about the inner workings of my company and what has made it so successful. If you’re not interested in hearing about this, don’t worry, I have a ton of podcasts you can listen to in the meantime. (If you have questions for me, but aren’t sure where to ask them, please join our Facebook group. You can ask all your questions there and will get so many helpful answers). In late 2018-early 2019, we created our core values at SPM. Growing my team to over 40 people did not happen overnight and we have made plenty of mistakes along the way. One thing that I know for sure is that you have to have core values in places or your team will begin to spin out of control. They won’t have any place to land if you don’t provide that place for them. One of the things I have always emphasized to my team members is that communication is very important to me. If I don’t know what’s going on, I can’t make wise decisions about the services in my business. I established monthly and mid-monthly reports, I wrote template emails, and I was just very focused on communication. Back in October of 2018, I flew to Tampa Florida to participate in the filming of EBA 4.0. While I was there, Ruth Soukup (my good friend, client, and the founder of EBA) was talking about a book called Traction. Ruth told me that the Traction method had revolutionized her business. She and several of her team members raved about the book. I bought the book right away and knew that Traction would be the thing that our team needed as we prepared to level up the business into year five. I told my team to pick up a copy of the book and read it. There was a little moaning and groaning but as they read it, some of them really took a liking to it. The book is broken down into easy steps. We’re currently implementing the method as a team chapter by chapter. Our core values at SPM guide our hiring, training, and assessment of team members. They help us ensure that we are all on the same page and on the right track (no pun intended) within the business. Communication – We believe in strong communication between all members of the team and clients. With this strong communication comes clarity and focus, which will help us to deliver better results for our clients. There are no dumb questions. Everyone should feel welcome to bring all thoughts and ideas to the table, without apologies. We believe that all people want to be heard, and with that comes affirmation. Whether through email, phone, or text, all lines of communication will be open at all times. Initiative – We believe in taking responsibility for finding smart and efficient solutions for problems. We will seek out answers and get creative with solutions, even when this goes against conventional wisdom. Our goal is to brainstorm new solutions that will fit each and every client’s unique needs. We commit to being active learners that take the responsibility to learn, even if no path presents itself. Reliable – We will strive to be reliable in order to be depended upon by our fellow team members and clients. We will respond to all communication in a timely manner and follow through on the requirements for our positions. As a result, our clients and fellow team members will learn that we will always be there for them when help is needed. We take ownership of our mistakes and seek to learn from them in order to grow stronger as individuals and as a team. Adaptable – We believe in growing a great company with a heavy emphasis on being flexible at all times. We will be committed to our core focus and values. But at times, the systems we have used to see results in the past will not be the system we use to get to the next point. As a result, we will be flexible and creative to find solutions that serve our clients best. Professional – We will strive to maintain a professional presence in any and all situations that represent the company. In our emails, phone calls, and all communication, we will present ourselves to be well-spoken, knowledgeable, helpful, and we will act with integrity. We will be high-class in any and all interactions that represent the company. Uplifting – We commit to building encouragement and affirmation into any and all situations. When prompted, we will help to build an environment that is uplifting and fun. We don’t take ourselves too seriously and want to insert fun and joy whenever possible. Every team member should walk away from team interactions feeling appreciated and heard. When we all aim to succeed, we will all rise. Authentic – We believe in failing forward and that every hard thing is a lesson to be learned from. Success is built on a mountain of failures. We handle our failures with integrity, honesty, and grace. This includes being honest about how we feel, open to constructive feedback, and building new paths towards success. We are a group of people that don’t complain, but offer constructive feedback that helps curate a healthy work environment for both our team and clients. Complaints are just evidence of doubting goodness. We want to focus on constructive feedback and see the good. We had a big team meeting in January 2019 to kick off the year and to flesh out these core values. We had a fun team building activity. Our account specialists at SPM are broken up into teams and each one has a team lead. The job of the team lead is to help guide the specialists and support them, providing input when necessary. We had a competition where each team had to create a coat of arms that displayed our core values in a unique and creative way. They had 20 minutes, with a Starbucks gift card on the line as the prize. They crushed it! This was the winning coat of arms. It was super fun to see their creativity play out with our core values in mind. If your business is growing, the core values you create will serve as the “north star” for your business. I encourage you to read Traction! And I hope that this episode gave you an understanding of how and why we created the core values and that you see them shining through in the podcast episodes. Thank you for allowing me to share this story. It’s so much of what I do, and I love having the space to share what I’m passionate about.